You can’t keep good birders down. After a fantastic two days birding, the boys wanted to recuperate by, you guessed it, birding. On Sunday, we had planned to head out later in the afternoon, but there was a report of a Wilson’s Phalarope at a pond just 30 minutes up the road. This pond is right around the corner from the pond where we were able to view the Black-necked Stilt just a couple weeks ago. The boys didn’t want to wait, in case the bird was just making a quick stop before heading north. They made a convincing argument, and we were out the door within 15 minutes. 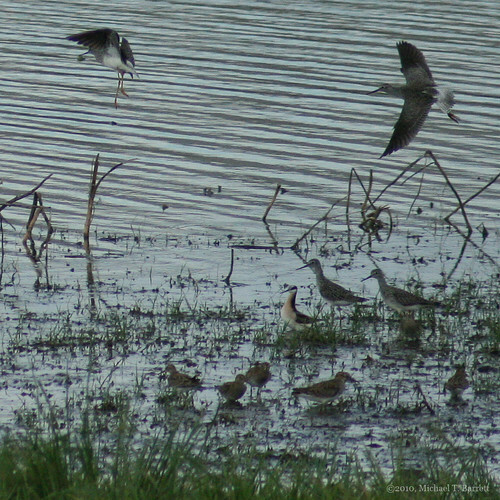 For all you non-birders out there, the Wilson’s Phalarope is the one nearest the center of the image that looks completely different than the other birds in the photo. Yes, the one with the mask. After a rather uneventful day today, they convinced me that we should double-check to see if the Wilson’s Phalarope was still hanging around the cow farm. Since it’s just up the road, I figured we could make the trip again. The bird had moved on to greener pastures (hah), but we did get a chance to observe a few different species of sandpipers, a Green Heron that kept flying in and out of the area. 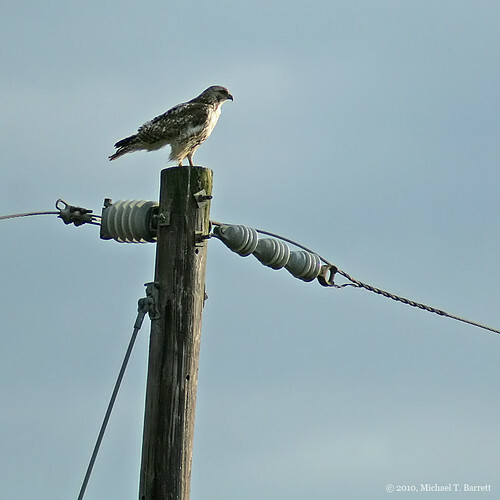 We checked all of the other locations we usually do, and we saw this beautiful Red-Tailed Hawk. I have several appointments for the remainder of the week, and we probably won’t get a chance to get out much in the next few days, so I hope they got it all out of their system for a bit. I know I did. I need time to recharge and recuperate myself. 😉 Now that’s something you don’t see around here very often!